As I am turning 50 in July, I decided to do my first ever one-man exhibition. 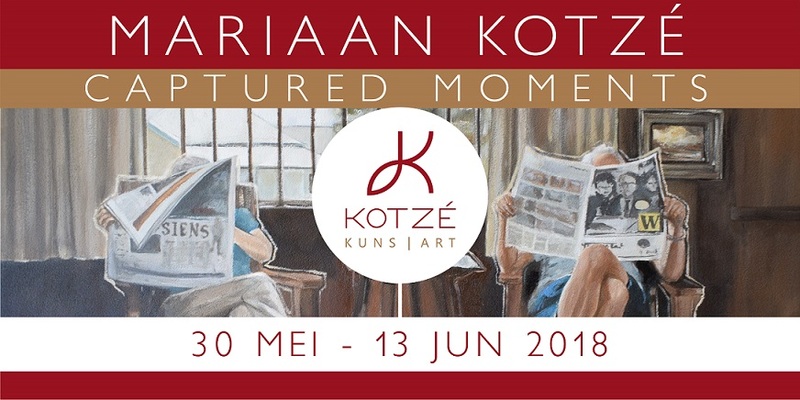 It felt appropriate to have this exhibition at Kotze Art Gallery as Floris, my brother, and Anine, his wife, are the owners of this wonderful space. 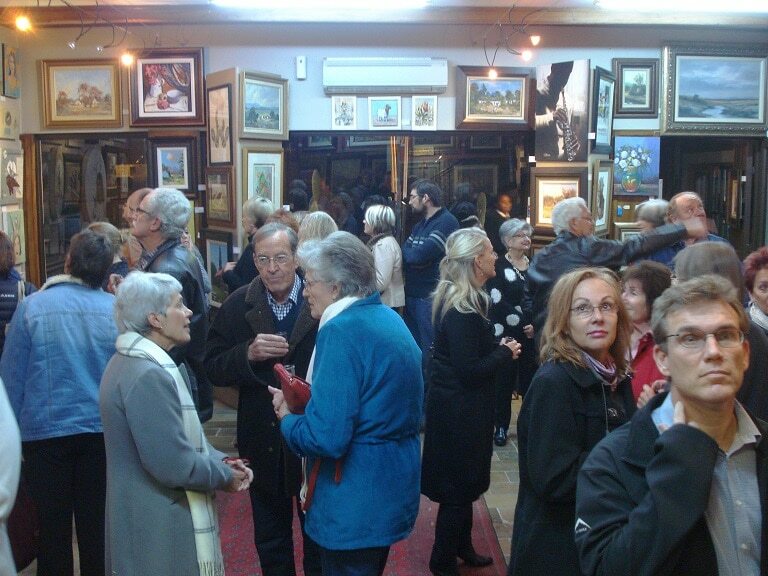 The gallery itself is beautiful and the setting will compliment my paintings. This is an exhibition for celebration on the one side, but also a gratitude exhibition to show my appreciation for so many clients who believed in my art and supported me over all these years. 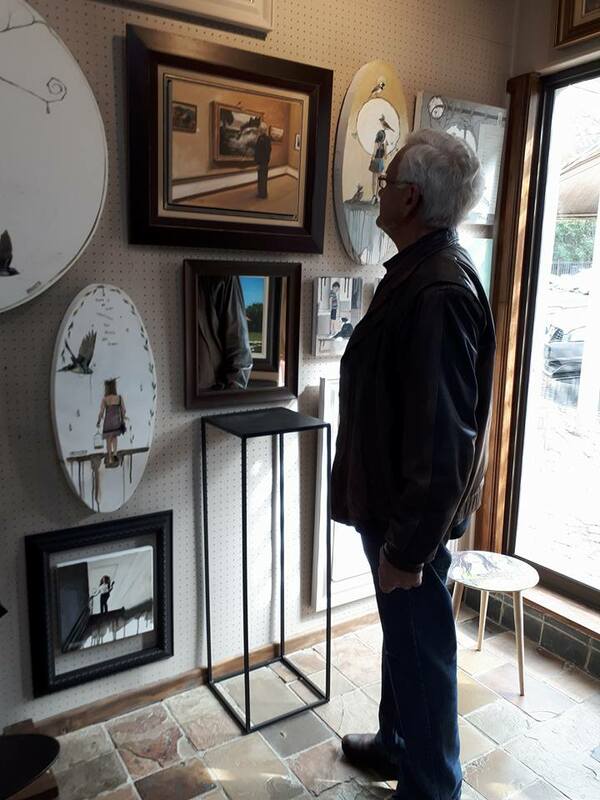 I took a photo of my dad in The Oliewenhuis Art Museum in Bloemfontein while he was studying a painting in their permanent collection. 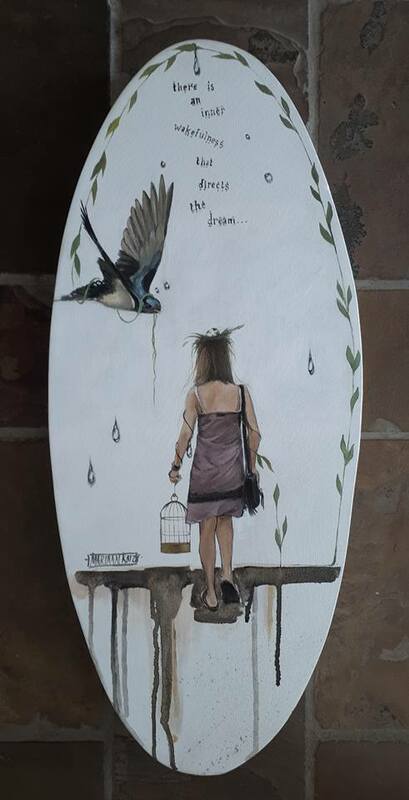 It was suggested by a friend that I put a little bird on the frame as I do a lot of birds in my paintings. I decided that it should be a little Koringvoël as there are 3 little Koringvoëls that always show up first when my dad is feeding the birds. 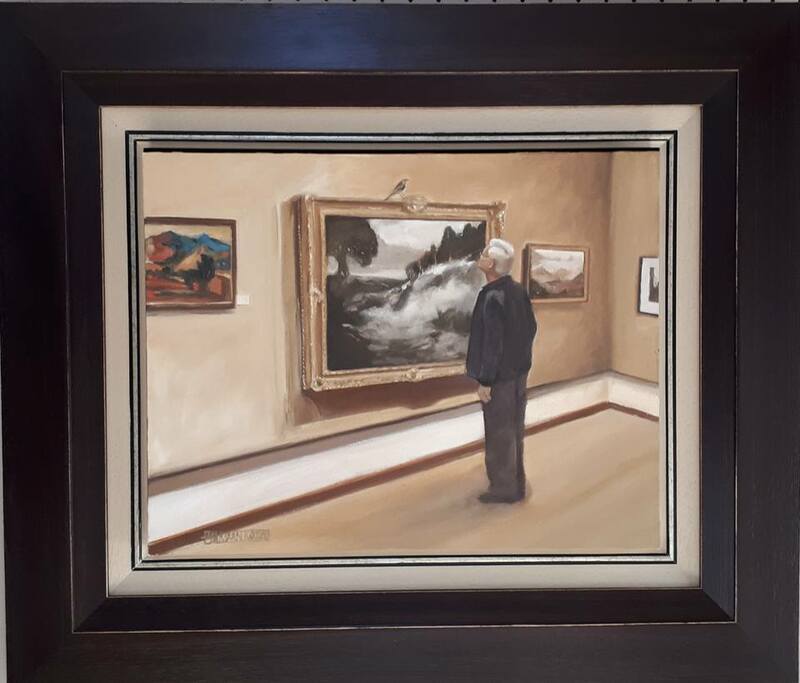 A special, special image of my dad studying the painting I did of him. 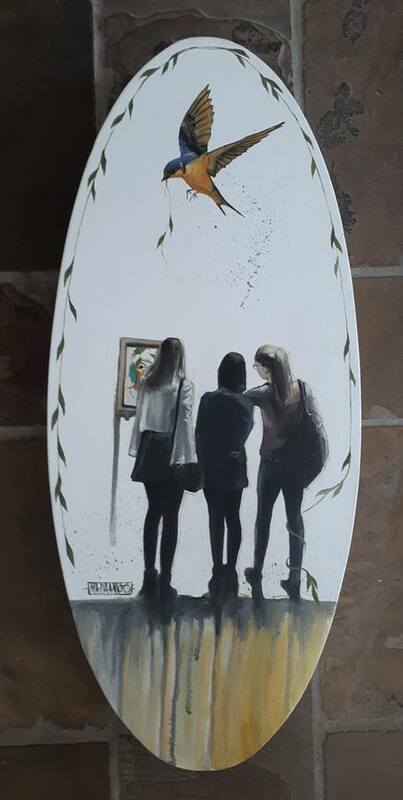 The paintings, part of a body of work with the theme: “Captured Moments”, will be offbeat from typical work, although, I must say, with my restless nature, I never had a typical style as I play around with themes, from more whimsical and symbolic to more sentimental. This, however, is a step away from everything I did before. 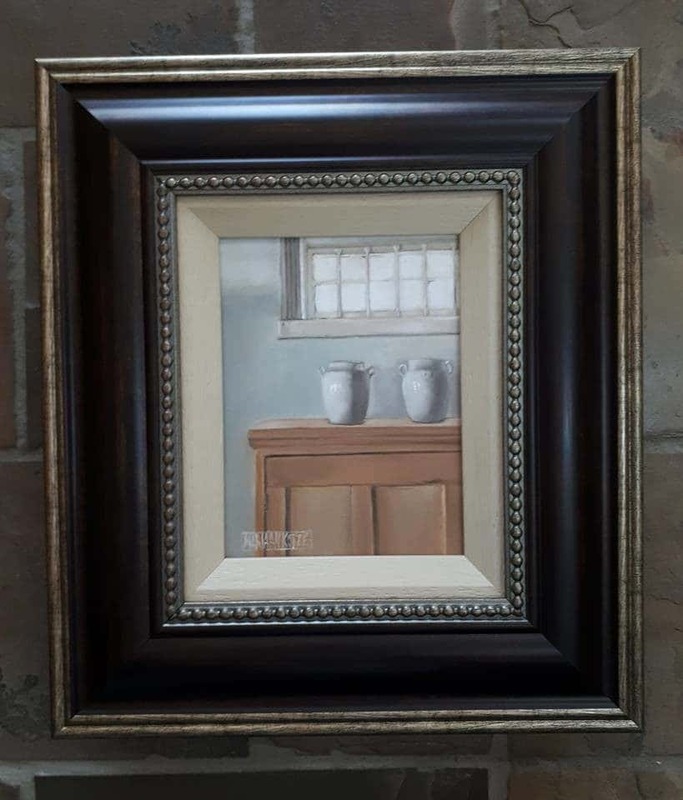 Most of the paintings sprout out of personal captured moments. A few are very sentimental and significant in the sense that people close to me feature in them. As emotions are universal, I feel that most of these images might resonate with the viewer. I cannot instill with paint a smell or sound but I attempt to evoke emotion. That certainly can be captured on canvas and my wish is that I will be able to do this. 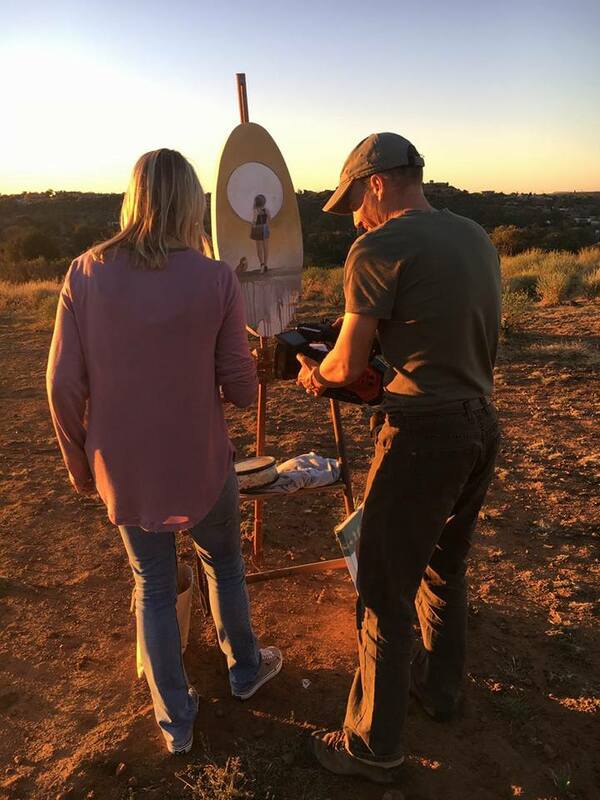 Each painting is like a little snapshot. 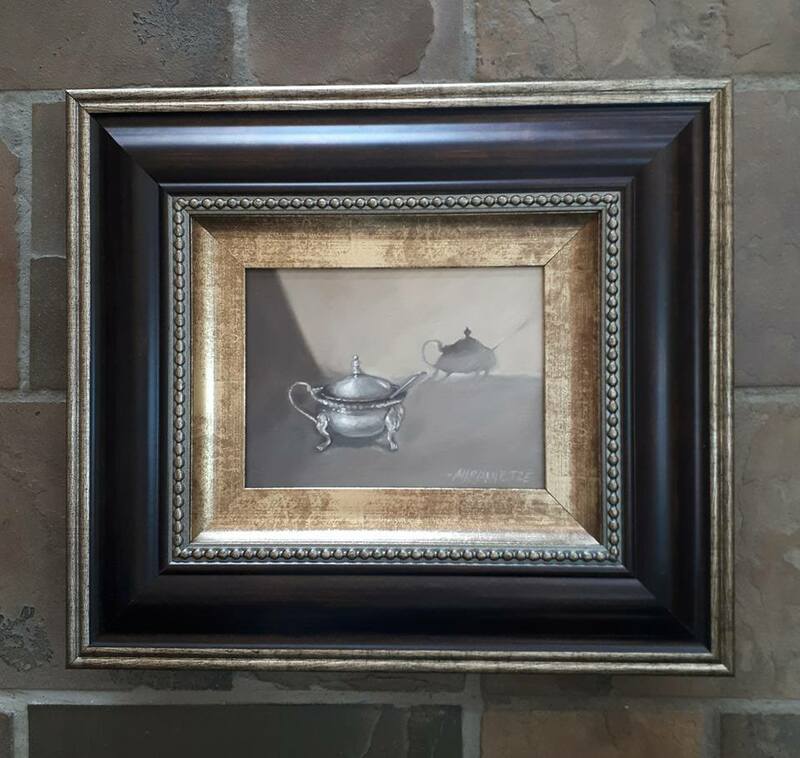 This is my way to present to the viewer my personal connections with the beauty that exists within my small world. We are caught up in the passage of time, images reveal themselves as I moved through life. I see paintings in words, in music, in an atmosphere, and in scenes that playoff in front of me. Rian from “Odd Looking Tree Productions” taking photos for the marketing video. So much patience and creativity! 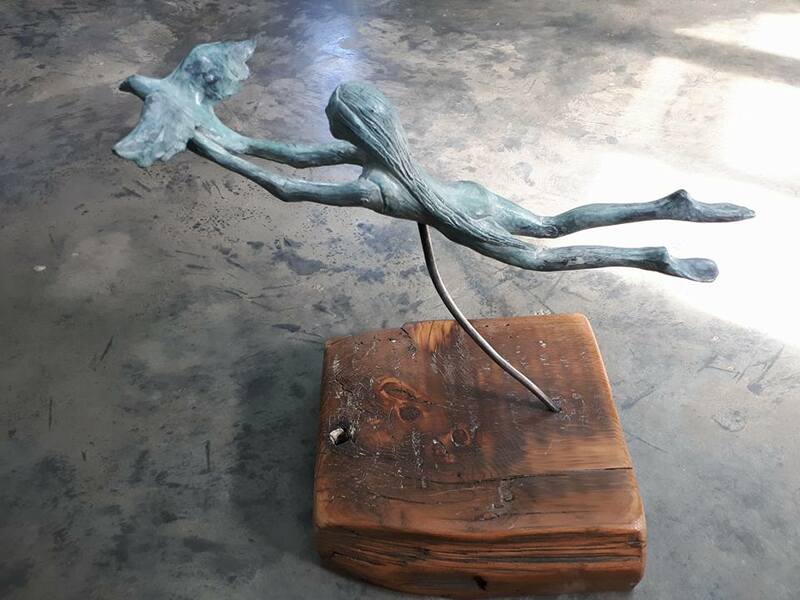 My first bronze sculpture, except for two I did years ago as a student, will also be for sale at the exhibition as well as a once-off I did as a student. “Blind faith”, my new sculpture, will be part of a limited edition consisting out of 10 bronzes. Each one will, however, be different as they get an oxidized finish and you cannot manipulate the color and each base will differ as well. My next blog post will be about the process from beginning to end on my bronze, be sure to subscribe to my newsletter if you don’t want to miss it. 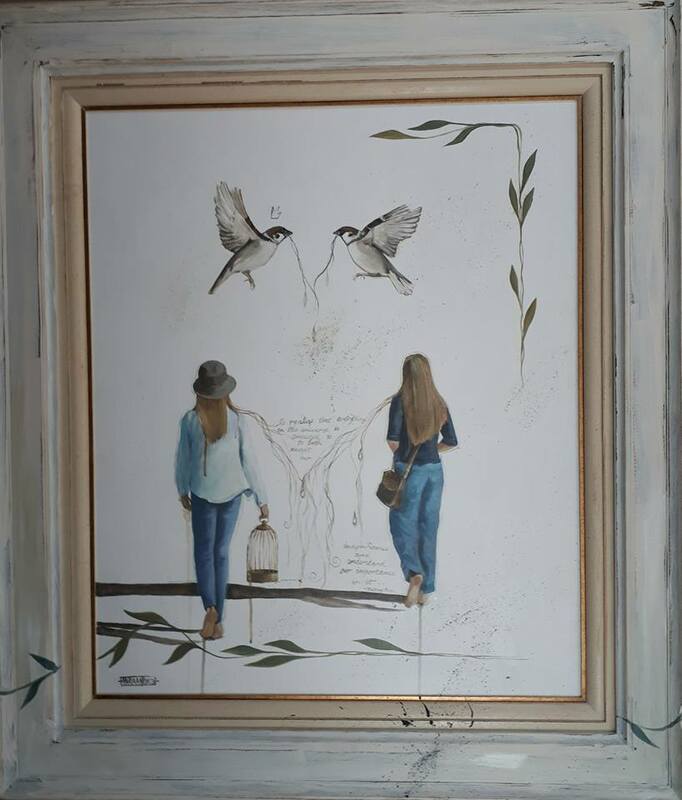 Posted in Blog and tagged Mariaan Kotze, Acrylic Painting, Art Exhibition, artist, Bloemfontein, Kotze Kuns Gallery, Butterfly, Oliewenhuis, art museum, solo exhibition, bronze sculpture, blind faith, Odd Looking Tree Productions, Video. Well done and I just love the sculpture. You bring so much joy with your work. Proud of you. Thank you so much Sharon, this means a lot to me, especially comming from an artist like you!! !